Fond of Snape » Blog Archive » bless you! 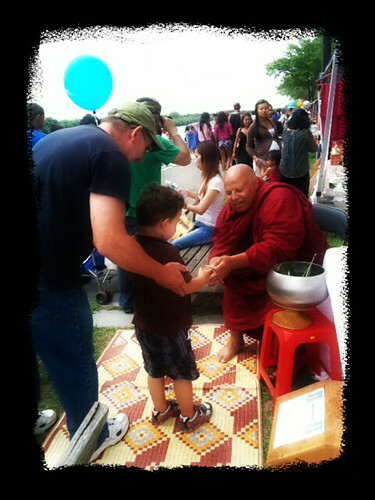 Dave and I had his four year old grandson this weekend, and Saturday we took him to the Southeast Asian water festival in Lowell. Lots to see and do and for lunch we had some delicious grilled chicken with glutinous rice (long grain, rather than the short Japanese type I’m used to). I had a hankering to try some Thai iced tea, but the lines and yellow jackets were too much for me. Afterwards we headed to a nearby lake for some relaxtion and refuge from the sun. It was supposed to be chilly and rainy but apparently the weather didn’t cooperate with the prediction in our neck of the woods! 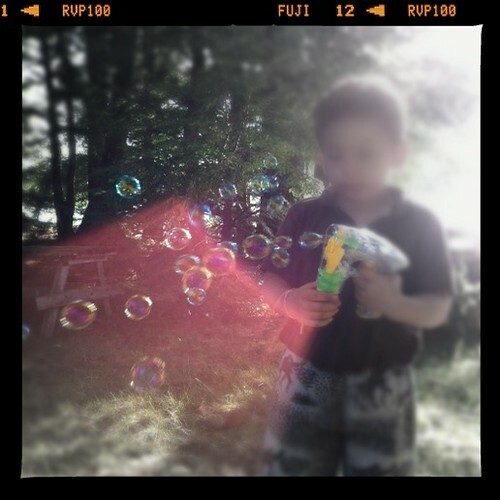 And what day isn’t improved by blowing some bubbles? Love the clouds in your final photograph, and WOW, Ralphy is growing up fast! Lovely! Be careful. I will have you hooked on Thai iced tea like you got me hooked on Angry Birds. XO! Hi, Janet. Thanks for the recent comments on my blog. It was nice to see a familiar name! I need to get myself some bubbles and remember that question, the answer to it being “every day is better with some bubbles!!!”. Glad you had a wonderful time. 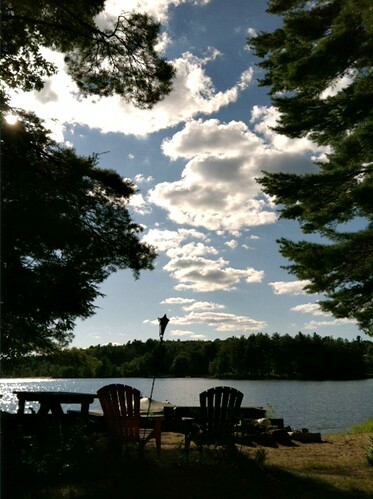 Seeing that last image makes me wish for a few days off, a good book or three, and some comfy chairs by the water. I would love to have my hind end parked in one of those Adirondack chairs! Love that bubble shot. They are hard to get. 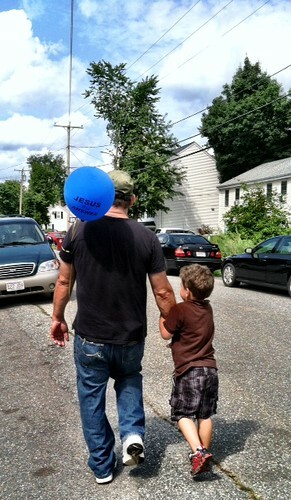 I was surprised to see the word “Jesus” on that balloon after an Asian fest.